Whistler bed and breakfast travel guide for romantic, historic and adventure b&b's. 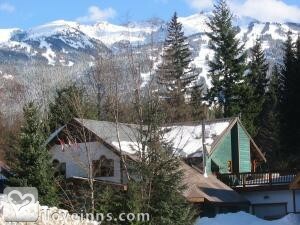 Browse through the iLoveInns.com database of Whistler, British Columbia bed and breakfasts and country inns to find detailed listings that include room rates, special deals and area activities. You can click on the 'check rates and availability' button to contact the innkeeper. Whistler Resort has now successfully hosted the 2010 Winter Olympics and Paralympic games! Come visit the fastest Bobsled/Luge track in the world and get your picture with our giant INUKSHUK on Village Gate Blvd. Eat great Whistler cuisine at the Rim Rock or try tapas at Elements. Stroll along the valley trails to Alta Lake and enjoy the mountain views. Ride the record setting Peak 2 Peak gondola (ask your Whistler bed and breakfast innkeeper for advice on cycling the hundreds of paved/unpaved and single track bike trails that connect all Whistler's parks, lakes (all 5 of them!) and legendary Whistler village. Visit the new Squamish-Lillooeet Cultural Centre, paddle a canoe or kayak down the River of Golden Dreams, enjoy the numerous art galleries or be pampered in the Avello Spa. There is so much to do here, plan on extra days/nights to take more in than you thought. Don't forget to Zip Trek. By Golden Dreams B&B. Whistler has risen as the year round destination resort! Having successfully hosted the 2010 Olympic and Paralympic Games plus annually hosting a plethora of festivals and events including: Krankworks in August, World Ski & Snowboard Festival each April, Cornucopia Food & Wine in November plus others! Several Olympic venues/sites open daily plus numerous seasonal activity operators & adventures. By Golden Dreams B&B.